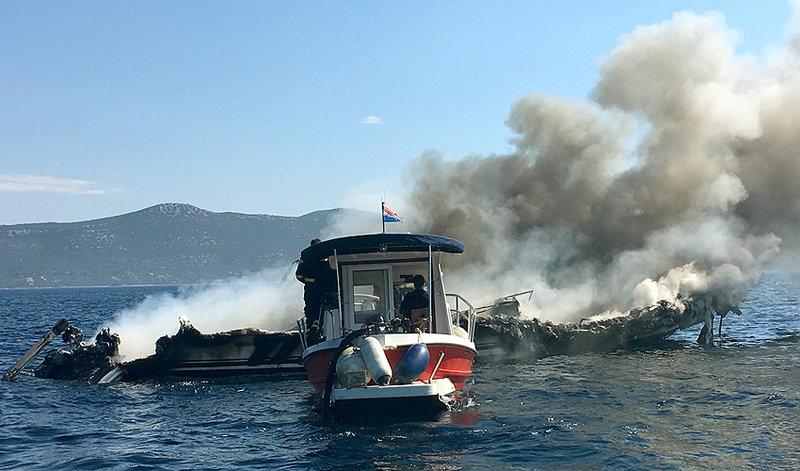 On 2nd of September 2016 in the channel between Proversa and Mali Ždrelac the yacht Pricess 65 went in flames. Almost all national and private TV channels reported alive this accident thanks to the Emergensea transmission via Facebook-live option. Flames started in the engine room quickly turned into a fire. 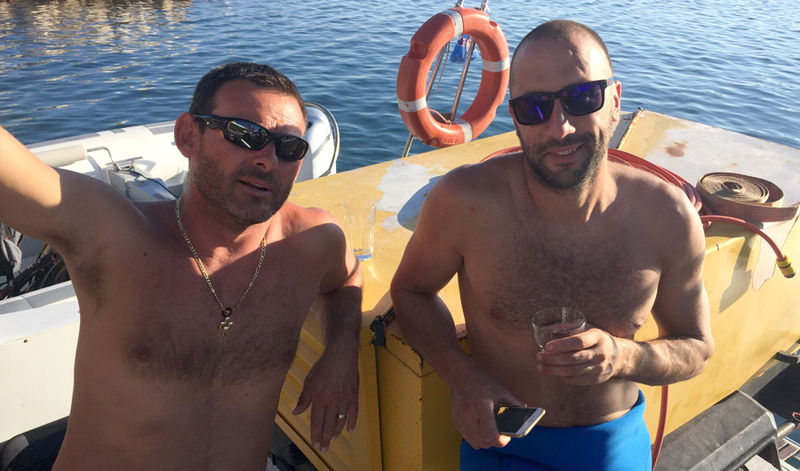 Crew of the boat in panic jumped into the sea and got picked up by the fishing boats who were passing by so fortunately there were no human casualties. But Princess 65 got engulfed in flames. 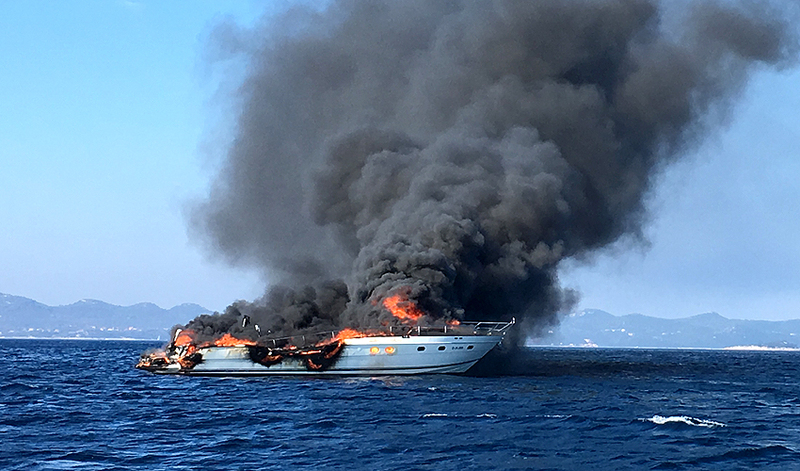 The fire was so strong that the whole superstructure burned down in only a few hours and what was left was only a piece of the deck up the waterline. Even the firefighters who were coping with fire the whole time were not able to prevent the complete loss. That day a little after 1 pm the burned wreck went down and carried a ton of poison with it to the bottom. 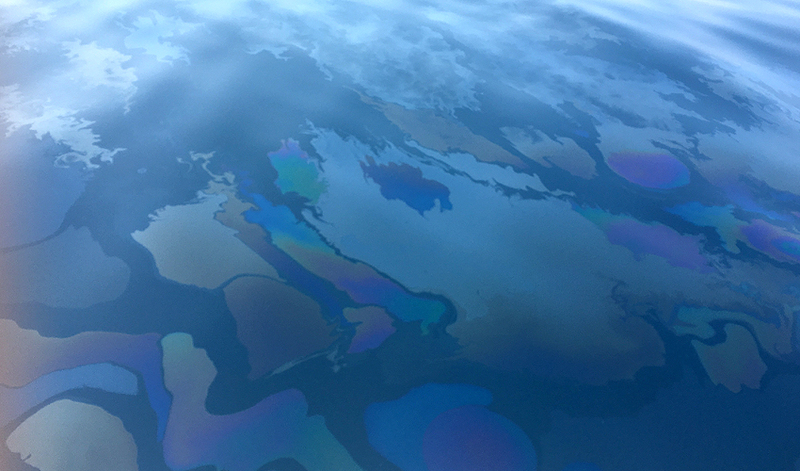 It sank on 68 meters depth in the muddy bottom on a position where many fishing boats pull the nets every day. Ecological bomb of first grade! 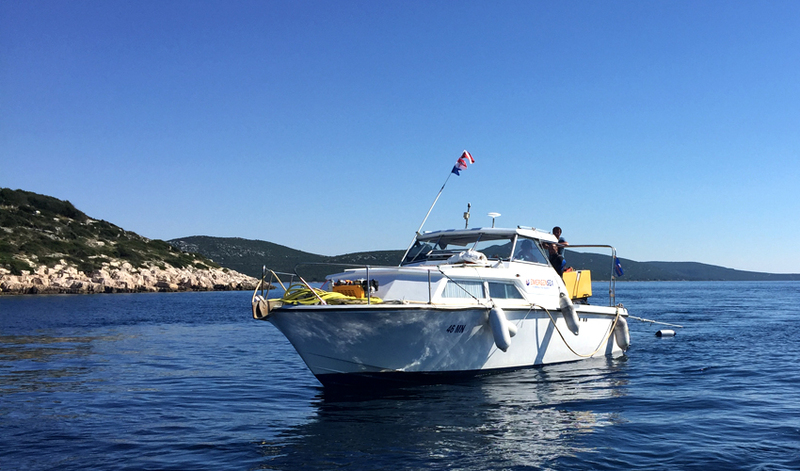 The Ministry of the Sea and Harbour Master of Zadar engaged immediatelly the company specialized for pollution prevention, and isuued the official notice to the owner for remowing of the wreck. 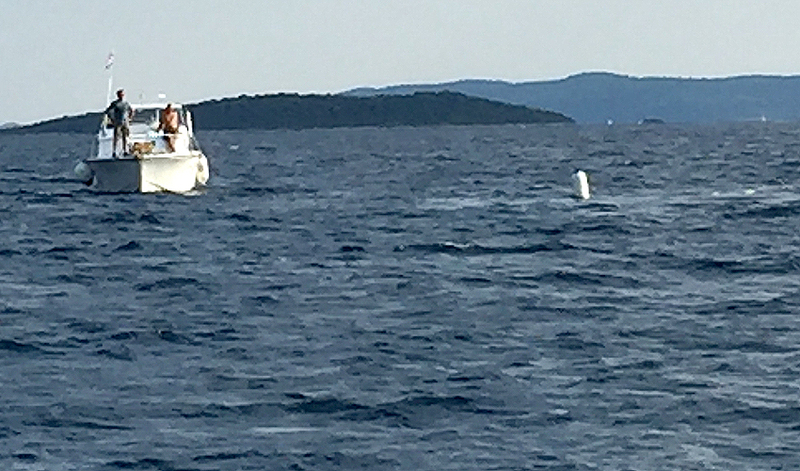 Scanning and positioning of the wreck were done by excellent depth sounder HUMMINBIRD HELIX-9 Down Scan. 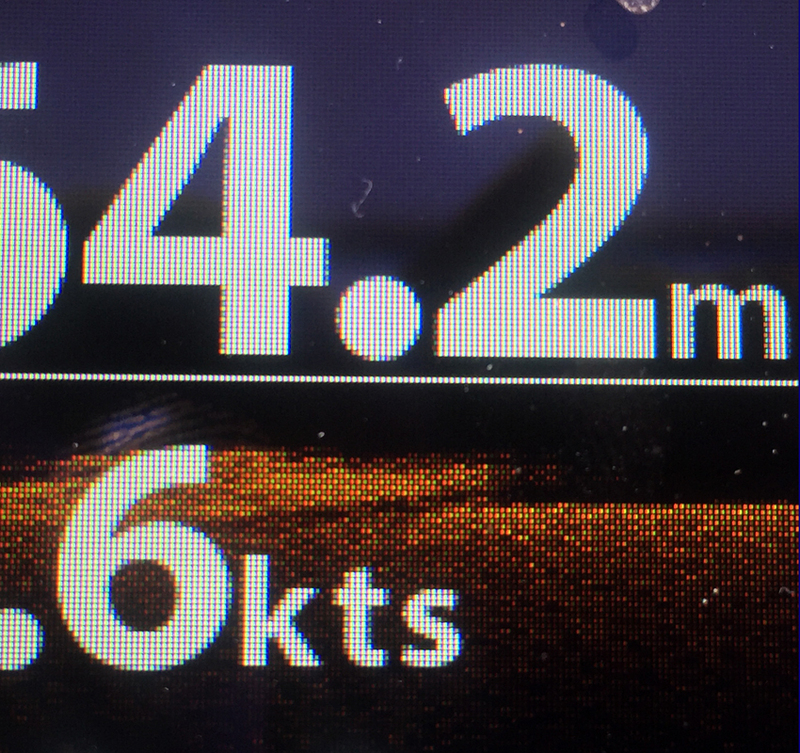 Photo of display clearly shows the top of the wreck on 64.2 meters. After 10-15 days of administrative work and preparation of equipment and procedure plan the recovery job started. Below is the photo of working vessel which carried all the equipment, even the construction compressor weighing over 1 ton. The whole job was slowed down due to the strong SE wind app. 5Bf, but despite the fact that the whole two days were not operational due to the wind we managed to finish within the predicted 7 days time. 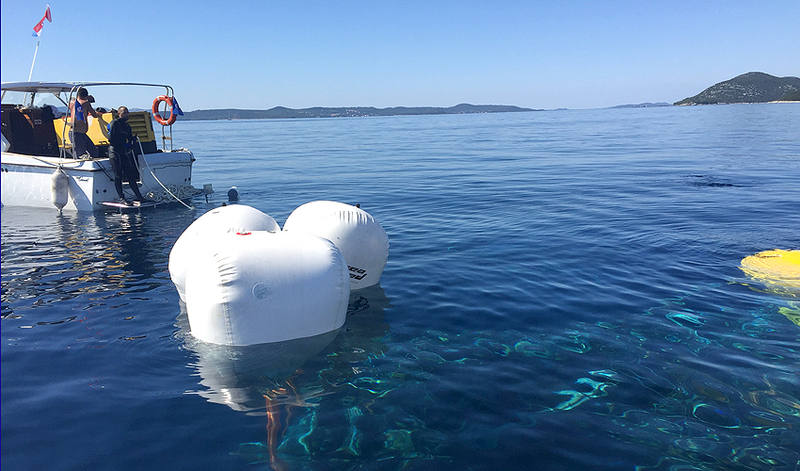 On the fourth day the wreck was raised up to 20 meters depth. At this stage we had to wait for the perfect time to tow it safely to the shore. After two days of wind, finally according the weather forecast only a small period of 5 hours windless appeared and the towing started....it had to be done with no errors and no standstill. The frequent stops for refilling of the balloons were the most delicate moments. 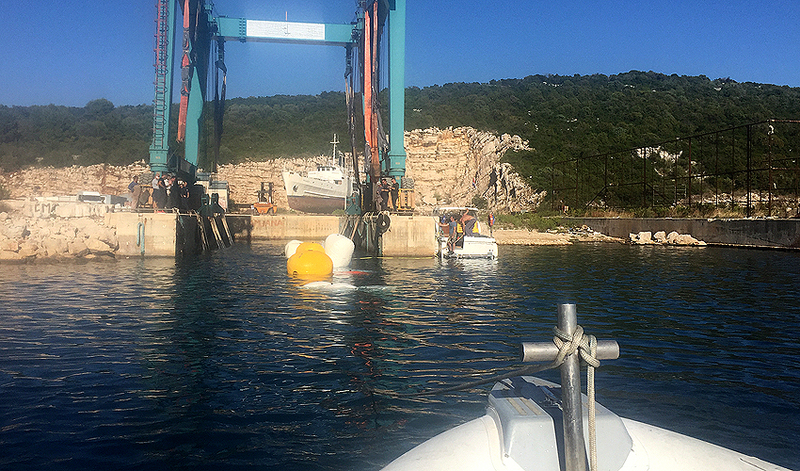 Towing of the wreck was under constant surveillance of Zadar Harbour Authority and Emergensea fast rescue boat who were taking care of the safety passage. 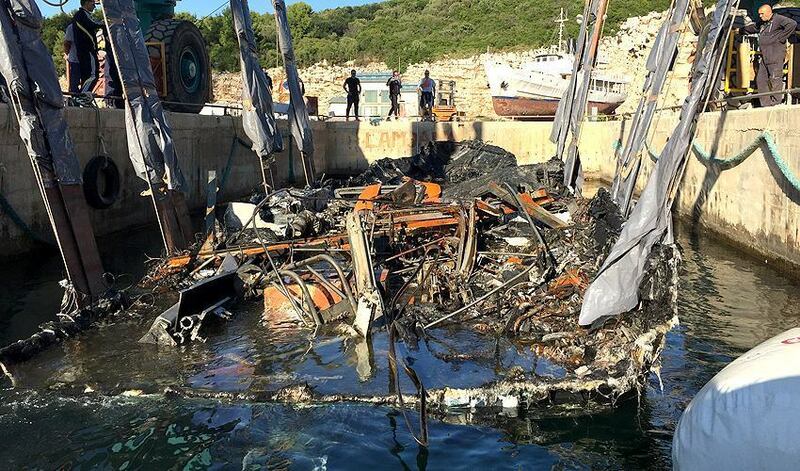 After 5 hours, sometime around 4 pm on 27th of September, the wreck was brought under the travel lift of Lamjana shipyard. Upon dismantling of all the equipment the wreck was tilted and emptied. The Emergensea crew went back to the base and the Princess was lifted ashore waiting for the experts to come and try to establish the reasons this tragedy occured. This excellent job performed in coordination of ES bases Mljet and Zadar, despite the small and big problems was succesfully finalized primarily thanks to Mario Orlandini from Mljet and Tomislav Radica from Split. Here they are, celebrating the succesfully finished work.